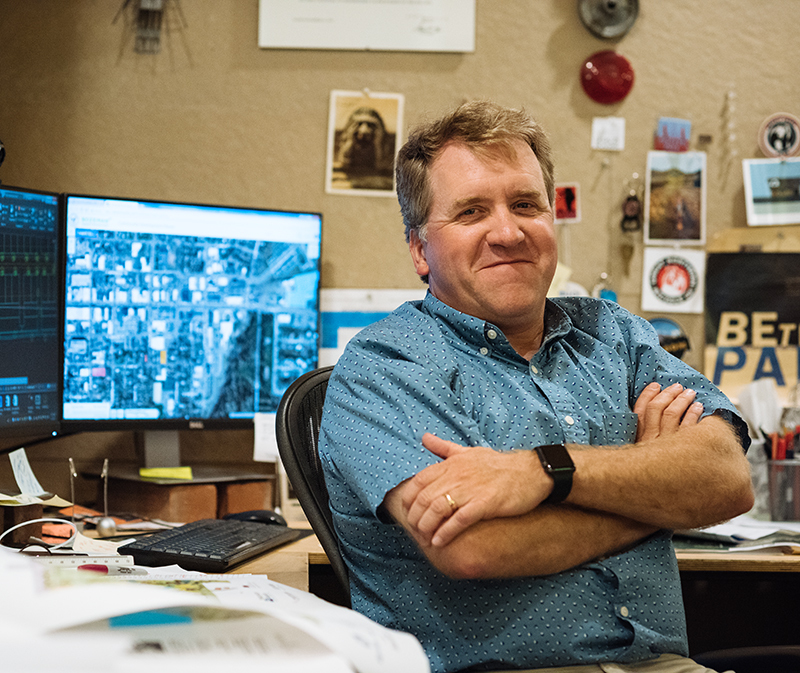 As a registered Montana Architect and a practicing Planner, Rob bridges the gap between buildings and neighborhoods. Rob has worked in design and planning for over 25 years and has a wide range of experience ranging from historic, civic and commercial renovations to land and municipal facilities planning to designing infill urban mixed use projects and multifamily residences. Rob specializes in big picture thinking and master planning to assure timely, quality and sustainable projects for the client, future residents and users, and the greater community. Rob is from Madison, Wisconsin and lived in the Twin Cities before settling in Bozeman in 1989. He holds a Master of Architecture degree from Montana State University.